Apple began seeding iOS 8.3 beta to registered developers. The Cupertino giant launched the new build barely a week after it released iOS 8.2 beta 5, thus indicating that it is hard at work on improving its mobile OS. 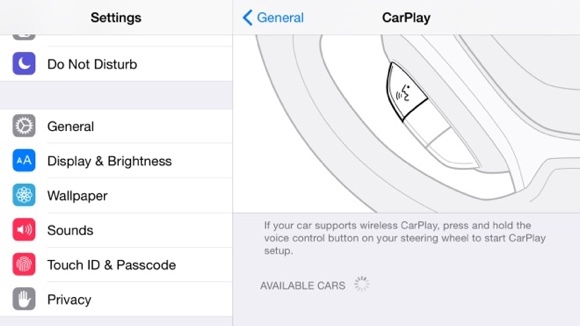 The latest iOS build brings a number of new features to the platform headed by wireless CarPlay support. The functionality was previously available only via USB cable. Google login has been improved as well. A brand new emoji picker is also on board. Finally, iOS 8.3 code suggests that Apple Pay is headed to China via Union Pay. Access to the vast Chinese market is certain to give Apple’s payment system a massive boost. It will surely be a while before iOS 8.3 makes its way to end users. Apple is yet to begin seeding iOS 8.2 to its mobile hardware. The latest iOS beta arrives amid rumors about the next major release of Cupertino’s mobile platform. Apple iOS 9 is tipped to focus on improved optimization and stability.